We are an alternative and integrative medical center devoted to helping people live longer, healthier lives. We offer innovative, synergistic therapies that are focused on improving over-all health rather than on managing symptoms. We treat a wide variety of conditions with a focus on alternative medical treatments for cancer, cardiovascular disease, brain health, immune dysfunction, detoxification through chelation and nutritional therapies and anti-aging. As Atlanta's Leader in alternative cancer and immunology research, we also continually conduct research and educate our patients on treatments for cancer and other health conditions that have shown promise but that have not received FDA approval. Traditional medicine centers on managing symptoms of disease. Our patient-orientated medicine centers on healing. 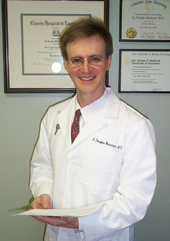 is a Board-Certified Radiologist specializing in true Anti-Aging Medicine (age reversal … from the INSIDE out). For Dr. Wichman, the quest for age reversal is a very personal one. Since 2003, he has intravenously chelated himself 31 times and has personally experienced every therapeutic procedure that he offers. He is also certified in Cardiovascular Pulse Wave Analysis and 5th-Generation Heidelberg pH Testing. Our center offers state of the art medical treatment tailored specifically to each patient. * Click to E-Mail Us Now! I N T E R E S T E D ? of course, all CTC count results and all harvested cells shall remain the property of A.R.I. 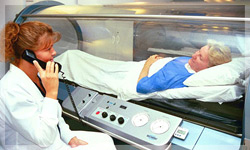 Hyperbaric Oxygen Therapy (HBOT) helps all kinds of people. It’s used to help patients suffering from sports injuries, Chronic Fatigue Syndrome, infections, arthritis and a huge range of other medical conditions. As we all know, oxygen is vital for life, and life cannot exist without it. It follows that oxygen is essential for effective healing and recovery. Click to E-Mail Us Now!